SellYourHandbag in Boca Raton, Florida buys and sell pre-owned Chloe handbags. Interested in selling your Chloe handbags in Boca Raton? SellYourHandbag pays you top dollar to sell your luxury designer handbags for cash in hand. We offer the highest pay outs for your handbags in new or like-new condition. Chloe handbags have been seen worn by your favorite celebrities and has become a top reigning luxury designer brand along with Louis Vuitton, Hermes and Chanel. Chloe was founded by Gaby Aghion who was a science graduate. Creating fashions with a simple, sewn look, Aghion hired Karl Lagerfeld to work under her direction. 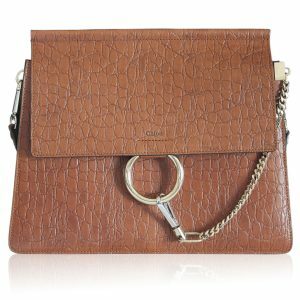 Today Chloe has expanded into the fashion industry with stylish handbags and accessories. Shop Chloe handbags now in Boca Raton for less than retail.